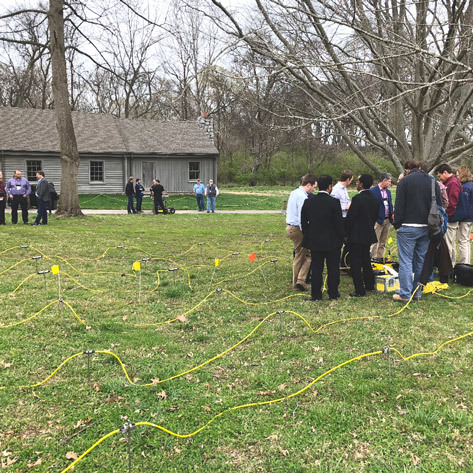 During the 2018 SAGEEP Outdoor Demonstration, AGI installed a full 3D Electrical Resistivity Imaging (ERI) grid just above the historical spring house for the Andrew Jackson estate called "The Hermitage". 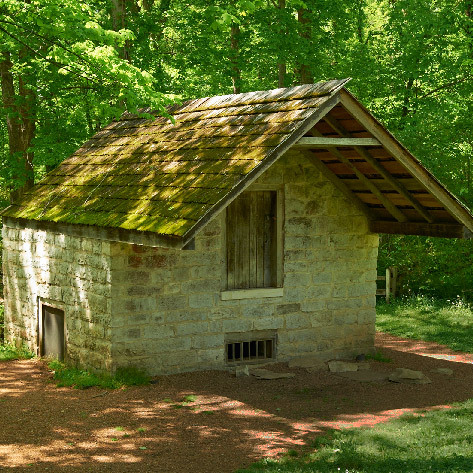 This spring house covers a natural gravel bed where water seeps out under artesian conditions downhill from the estate's main buildings. 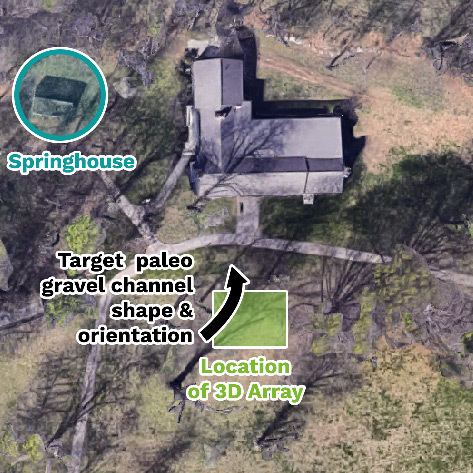 AGI hoped to locate and map a part of the gravel-filled paleo channel that feeds into the spring house. "The spring, which was called “Gravelly Spring” at one time, is still active. It has been enclosed and the metal plate in front of the building covers the access to the spring. 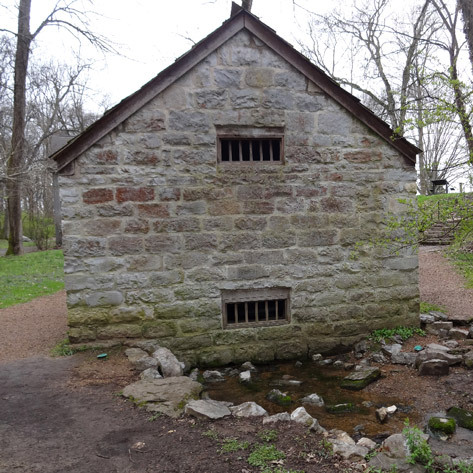 Until about 25 years ago, The Hermitage got all of its water supply from the spring and the spring water was used to irrigate the garden for several years after that." We used a SuperSting™ R8 Wifi with a SwitchBox56™ connected to AGI FlexLite Passive resistivity cables in a true 3D grid. We based the location of our 3D array by observing the environment near the spring and hypothesizing the most likely areas for underground water flow. 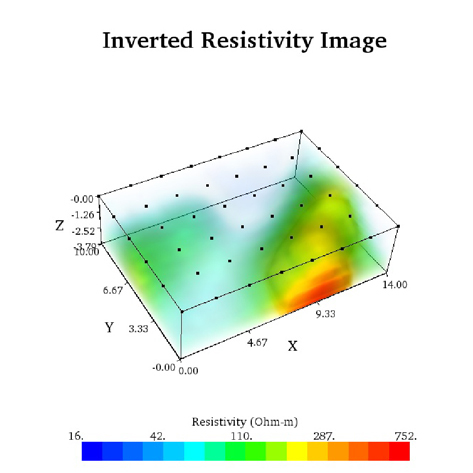 All of the data we collected was inverted using EarthImager™ 3D. 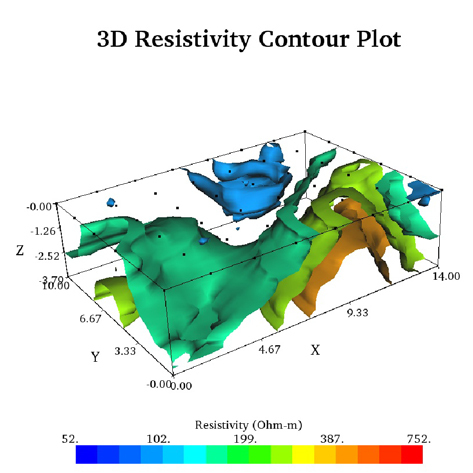 The 3D ERI results clearly show a feature with high resistivity and a channel-like shape that is headed towards the spring house. 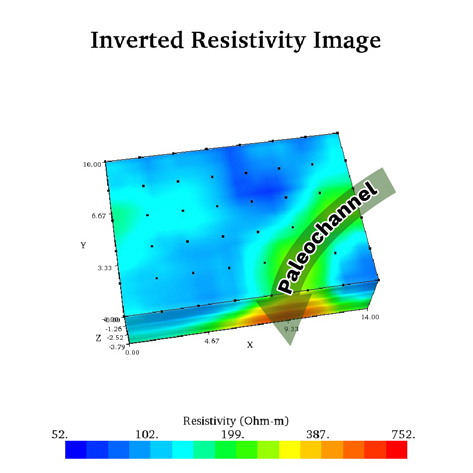 Gravel paleo-channels often have this structure within finer grained soils—as found at the surface of the 3D array. 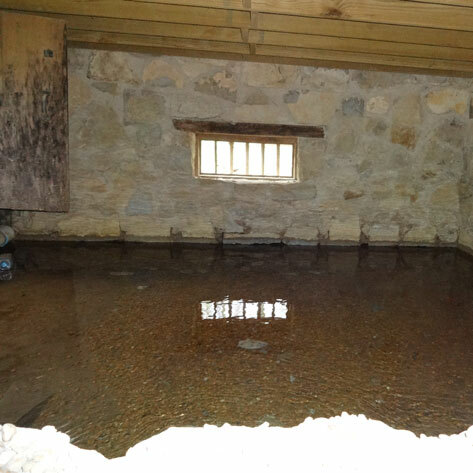 The base of the spring house is made up of course gravels which further suggests that it is fed by gravel channels. Though this survey was done as a quick demonstration, the same technique can be useful for other applications. For instance, one could use this method for water quality assurance by tracing back to the source of water contamination points.